Many people have used marijuana at least once in their life . Like all drugs marijuana too causes health problems. One important question that is often asked regarding the use of marijuana is “can marijuana cause cancer?”What is most alarming is the fact that according to very recent studies marijuana intake can promote cancer growth. However in contrary to these studies many studies have answered the question “can marijuana cause cancer?”affirmatively. In a recent study presented in the European Journal of Immunology researchers from the University of South Carolina have shown that marijuana use can weaken your immune system. It does make your body more prone to susceptible to cancer. The research carried out by Professor Nagarkatti and his colleagues found that cannabinoids present in marijuana boosts the growth of MDSC or myeloid-derived suppressor cells which suppresses the immune system. Many other studies have found that it is likely that smoking marijuana increases the risks of lung cancer. It is because the cancer causing compounds carcinogens and co carcinogens that are present in tobacco are also found in marijuana. In fact it contains more cancer causing substances than tobacco. So if marijuana is smoked over a long period of time then it increases the risks of lung cancer. Marijuana also most probably increases risks of prostate cancer,testicular cancer and leukemia among children whose mothers smoked pot when they were pregnant. On the other hand marijuana is found to possess many medical properties. Marijuana medical use can be proved by the presence of THC which has antioxidant properties and Cannabigerol lowers blood pressure. Due to this reason, there has been an increasing demand for legalization of marijuana. Countries like Canada and Germany have legalized marijuana’s medical use. In the United States, marijuana’s medical use has been legalized in 16 states. Some of them are California, Alaska Nevada, and Hawaii etc. Marijuana is used to relive pain of cancer patients to provide relief in glaucoma vomiting and such other conditions. Recent studies have also found some useful properties of marijuana in treatment of Alzheimer and HIV/AIDS. 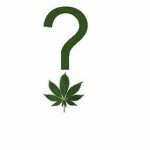 Thus there is no single answer to the question “can marijuana cause cancer?” While some researches have found cancer fighting properties in marijuana ,some other studies have found that marijuana stimulates the growth of cancerous cells. Quite evidently more conclusive research is needed in this area to come up with an definitive answer. 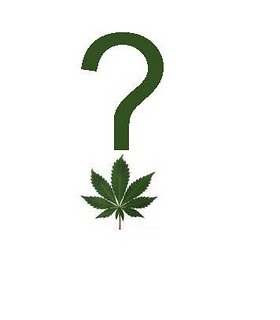 Should Marijuana Be Legalized to Stop the Drugs War? This entry was posted on Thursday, March 10th, 2011 at 21:43	and is filed under Medical Marijuana, Science. You can follow any comments to this entry through the RSS 2.0 feed. Responses are currently closed, but you can trackback from your own site.